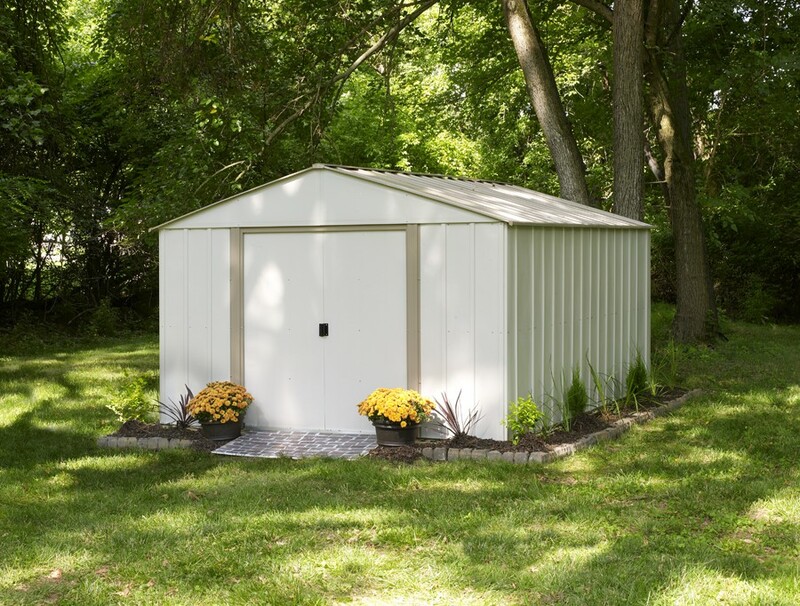 The Oakbrook storage building features a high gable roof for extra storage and headroom. With its wide door opening, your items are accessible and easy to move in and out. Perfect for storing and organizing anything, from lawn and garden equipment to bicycles and outdoor gear. Over 769 cubic feet of storage space. 10 ft. 3 1/4 in. 13 ft. 6 3/4 in. 6 ft. 9 3/8 in. 6 ft. 8 1/8 in.